It's time to recognize a commitment to Amver, to safety at sea. 34 more vessels have made the commitment, volunteering to ensure no call for help goes unanswered. We're thankful these vessels crews have made the choice to join and assist in maritime emergencies. Have you enrolled yet? If not, why? In the meantime, help us welcome the latest members. The Amver participating cruise ship Seabourn Odyssey recently rescued three fishermen adrift in the Pacific for three weeks. According to a report in USA Today, the trio had been surviving on rain water and their catch of fish after running out of fuel. 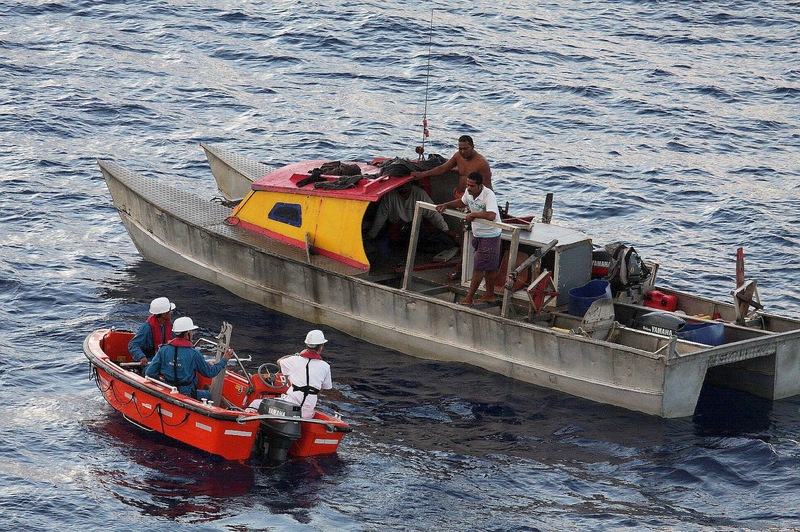 The disabled boat was 150 miles southwest of Pago Pago when the Seabourn Odyssey bridge crew noticed the boat on the horizon and deviated towards the boat. According to the Seabourn blog, the fishermen waved their shirts when they saw the cruise ship approaching. 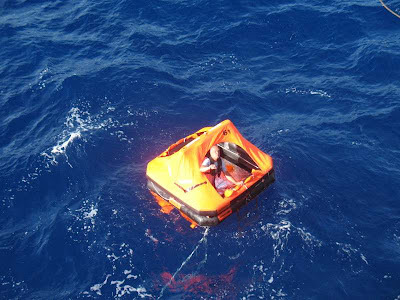 The ship deployed one of its rescue boats and, after determining that they were no threat, rescued three fishermen who had been lost at sea for nearly three weeks! The crew transferred them to the rescue boat and took them to the ship, where they were immediately checked out by the ship’s doctor. While they were dehydrated, hungry and had a few skin sores from the sun, the three men were in surprisingly good health considering they had been drifting at sea for weeks. The Seabourn Odyssey enrolled in the Amver system in 2010. Bravo Zulu to Captain Mark Dexter and the crew for ensuring no call for help goes unanswered! 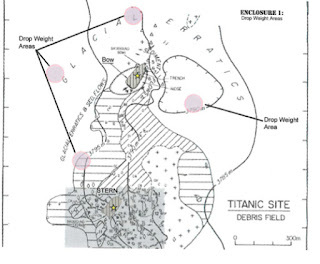 The International Maritime Organization, at the request of the United States Coast Guard, has issued a circular urging the maritime community to refrain from certain activities in waters around the Titanic wreck site. Refrain from discharging garbage, blackwater, graywater, and any other incidental discharges to the operation of a vessel within 10 nautical miles of the R.M.S. 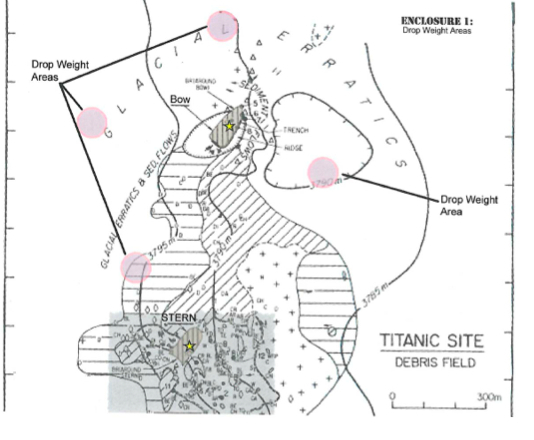 Titanic wreck site, defined by coordinates in the official document, or, within 15 nautical miles up-current of the same points in the circular. Concentrate any drop weights or other materials necessary for the normal descent and ascent of submersible craft in four specific areas around the wreck site; defined as the areas within 100 meters of coordinates in the circular. Utilize biodegradable materials such as cloth for drop weight bags and for other items that must be left on the bottom during normal submersible operations. Refrain from installing, attaching, or placing additional plaques, memorials, or other temporary or permanent fixtures, however well intended, on the R.M.S. Titanic. Comply with existing IMO standards that prohibit the discharge of plastic, oil, chemicals, or other noxious or hazardous liquids. The Amver team urges all mariners to heed this request. Who enrolled in Amver in the past week? Just read below and see if your ship is listed. If not you may want to consider joining the Amver safety network. As part of the Amver system you'll enjoy earning Amver participation awards and you'll renew your commitment to safety at sea. So, what's stopping you? Now, help us welcome the latest members of the team. Don't forget to check out the Amver podcast, The Quarterdeck. The next episode is coming later this month! The European Maritime Safety Agency has launched a new public relations campaign called EMSA in a Minute. It's a series of video highlighting the various functions of EMSA, including environmental response, port state control, and the environment to name a few. The EMSA video about Safe Sea Net is most closely aligned with Amver, as many Amver enrolled ships may be called upon to assist in search and rescue cases around the world. EMSA rescue authorities may also request Amver data from United States Coast Guard search and rescue controllers in the event of a maritime emergency. 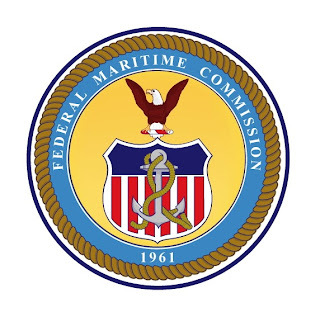 On February 13, 2012 U.S. President Barack Obama announced he was submitting Federal Maritime Commission Chairman Richard Lidinsky's name for reappointment as chairman of the Commission. 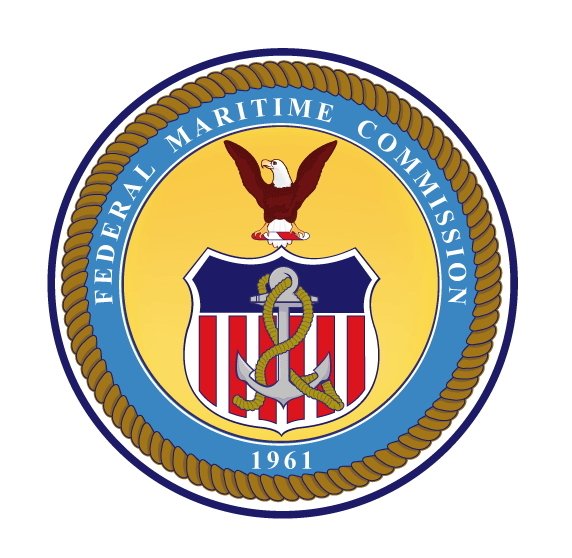 The Federal Maritime Commission, which celebrated its 50th anniversary last year, is an independent regulatory agency responsible for the regulation of oceanborne transportation in the foreign commerce of the U.S.
Chairman Lidinsky is a strong supporter of Amver and has spoken at Amver awards ceremonies in the past. We congratulate him on his reappointment! "Owing to the coordinated actions of crew after reception of VHF distress signal, without any hesitates, rescue operation was short, with lightning speed, and successful!" We couldn't have said it better ourselves, Captain Smolenkov. Bravo Zulu to you and the entire crew of the Fuji Bay! Here are some photos of the rescue. 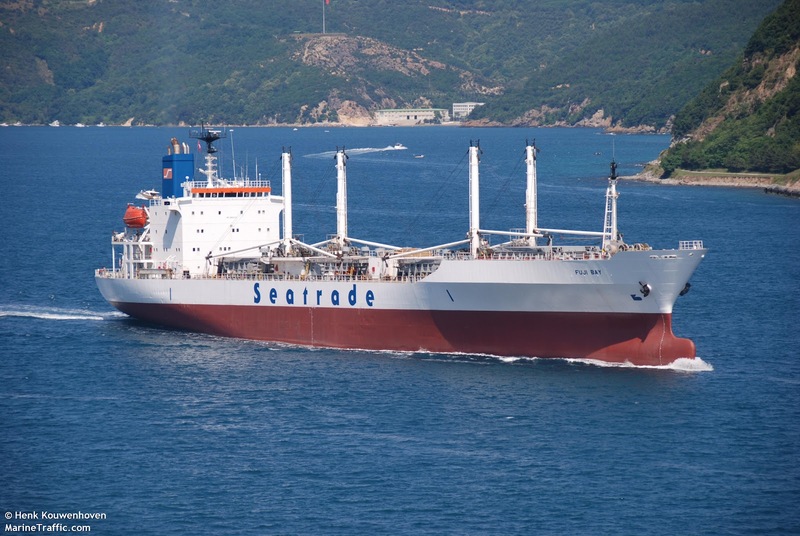 Congratulations to the crew of the Fuji Bay, a Seatrade managed ship, for a helping ensure no call for help goes unanswered! Who enrolled in Amver in the last week? Ships like the ATLANTIC PEGASUS and the MAERSK PEARL. We're thankful for their participation and willingness to assist in search and rescue cases like the recent rescue near Hawaii and Cuba. 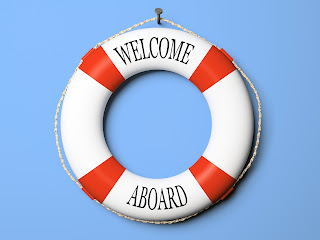 Help us welcome the latest members of the Amver safety network. The U.S. Coast Guard advises that effective 2359 UTC 31 March 2012 it will terminate On Call Ship/Shore HF Radiotelex (SITOR) services currently being provided by its Guam Mariana Islands Communications Station (NRV). With this termination, On Call Ship/Shore HF Radiotelex (SITOR) services will not be available to/from any U. S. Coast Guard Communications Facility. 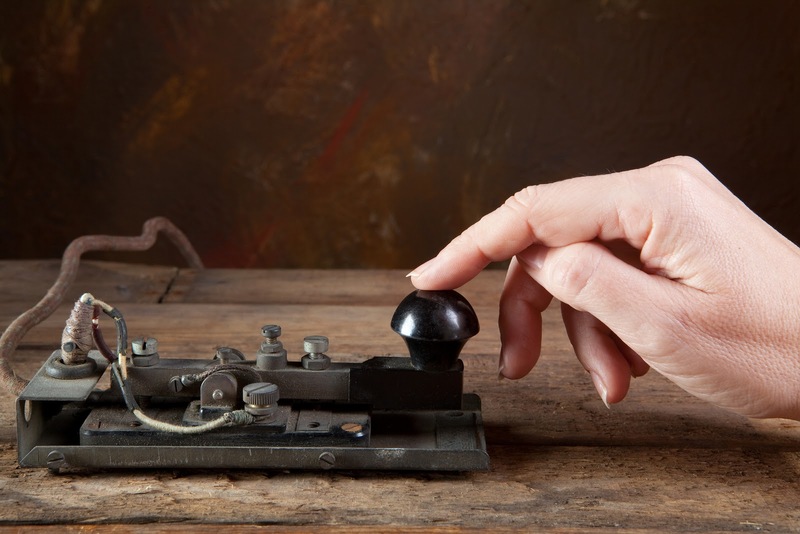 This change will NOT affect HF Radiotelex (SITOR) Broadcasts or broadcast content currently provided by Coast Guard Communications Stations Boston (NMF), San Francisco (NMC), Honolulu (NMO) and Guam (NRV). In addition to many other facilities: HF Radiotelex service of WLO Mobile Marine Radio and NOAA Shipboard Environmental Data Acquisition System (SEAS) program thru INMARSAT-C system remain available to vessels for the no cost transmission of AMVER and OBS messages; and The Globe Wireless system remains available for the no cost transmission of AMVER messages. 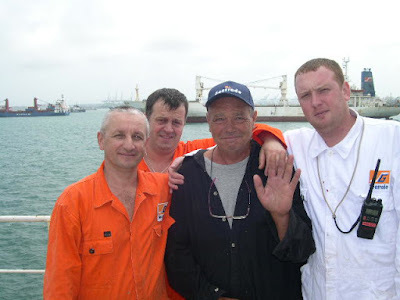 A French yachtsman was rescued by an Amver ship 35 miles southeast of Guantanamo Bay, Cuba after abandoning his sinking sailboat on February 4, 2012. The Frenchman reported he hit a rock earlier on the morning of February 4th and his sailboat began to sink. 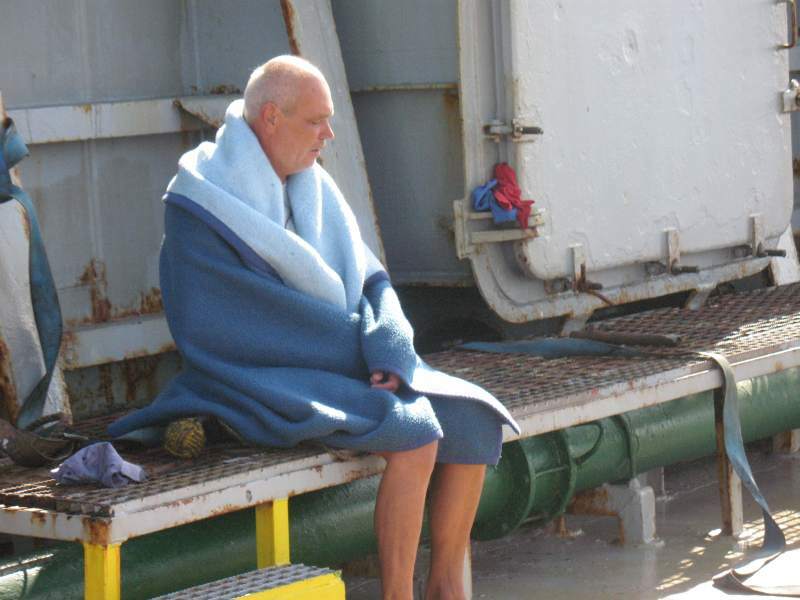 He activated his emergency beacon and abandoned the sailboat into a life raft. The yachtsman also radioed a passing commercial ship which turned out to be the Amver participating freighter, Fuji Bay. The Captain of the Liberian flagged freighter heard the distress call and maneuvered the 485 foot freighter alongside the life raft. The crew of the Fuji Bay hoisted the sailor aboard their ship and checked him for injuries. The Frenchman was uninjured and remained with the Fuji Bay until it reached Cristobal, Panama where he arranged to return to France. The Fuji Bay, managed by the Seatrade Groningen BV, Netherlands, enrolled in Amver in 1990 and has earned participation awards for 15 years. Three Canadians, including a nine year old boy, were rescued by the Amver participating container ship Horizon Reliance after their 38 foot sailboat Liahona sank 280 miles northeast of Hilo, Hawaii Wednesday February 8, 2012. The three survivors are from Edmonton, Canada. The sailors, on a voyage from Puerto Vallarta, Mexico to Hilo, Hawaii, contacted the Coast Guard Cutter Kiska Tuesday afternoon after their sailboat became disabled. The crew reported damage to their top forestay and engine. After trying to rig a makeshift sail they lost the mast in the extreme conditions. 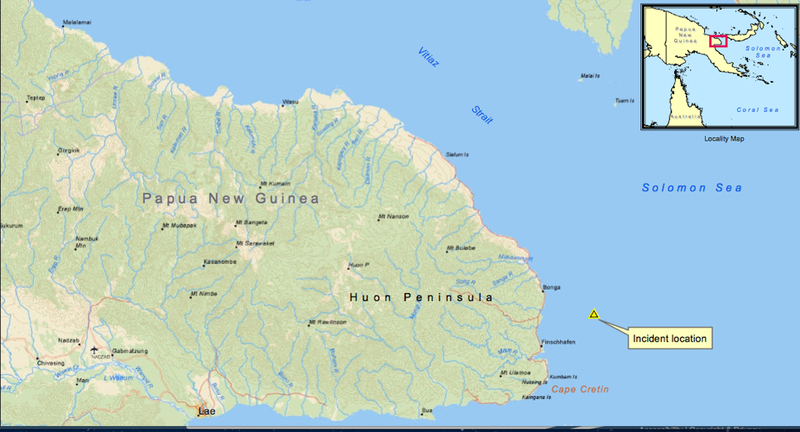 Coast Guard Rescue Coordination Center Honolulu, using an Amver surface pictures (SURPIC), contacted the 893 foot container ship and asked them to divert to assist the crew of the Liahona. The Horizon Reliance was 149 miles away from the sailboat's location. At approximately 2:00 am Wednesday morning, Captain James Kelleher and the crew of the United States flagged ship reached the sailboat. As the Horizon Reliance approached, a swell caused the sailboat to capsize and sink, throwing all three passengers in the sea. Weather conditions were poor, with southwesterly winds gusting to 40 knots and sea swells in the 20 foot range. The Horizon Reliance crew lowered a ladder to conduct the rescue. A 29 year-old-man was rescued first, but the others, a 32-year-old man, and a 9-year-old boy, drifted away. Both were rescued shortly thereafter because they were wearing lifejackets with strobe lights attached, which enabled rescuers to keep them in sight. "We are thankful the Horizon Reliance was in the right place at the right time to come to the aid of these individuals," said William A. Hamlin, Horizon Lines Senior Vice President of Operations. "We commend Captain Kelleher and his crew for their skilled seamanship in accomplishing a successful rescue despite very adverse weather conditions." 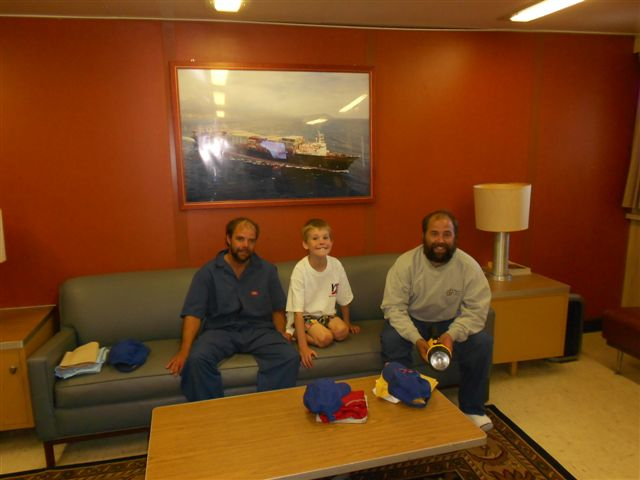 All three were reportedly in good health and will remain aboard the Horizon Reliance until it arrives in Hilo, Hawaii at approximately 4:00 am local Hawaii time. There's no question that the merchant shipping community, those that "go down to the sea in ships" are committed to safety at sea. Just look at the response to the sinking of the M/V Rabul Queen, where 13 Amver ships rescued 209 passengers. Thankfully there are over 20,000 vessels enrolled to ensure no call for help goes unanswered. This week we list the 33 latest vessels to pledge to assist when needed. Help us welcome them. Thank you for joining the Amver safety network! 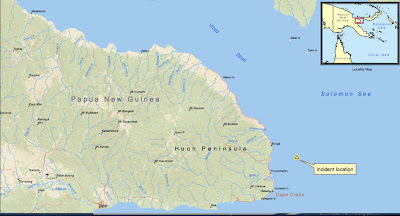 13 Amver ships rescued 209 lives in the M/V Rabul Queen sinking near Papua New Guinea. The Australian Maritime Safety Authority provided assistance in the search operation including diverting several commercial vessels, including the Amver participants. How did Australian officials know what Amver ships were available? Ships enrolled in the Amver system benefit from a unique relationship with several regional ship reporting systems. Amver exchanges information with the Japanese Ship Reporting System (JASREP), the Australian Ship Reporting System (AUSREP), the Chilean Ship Reporting System (CHILREP), and the U.S. Maritime Administration (MAREP), so reports need only be made to any one system. These partnerships save lives, as demonstrated by the Rabul Queen case. Somewhere, an Amver ship saves a life every 33 hours. In the last few days, 209 lives were saved. Congratulations to the following Amver participants that responded to the call and saved lives. All of the vessels that responded can be proud of their accomplishments. Well done. In the wake of the Costa Concordia incident there's no shortage of articles about cruise ship safety, salvage, and stability. Others are writing about cruise ship incidents in the Arctic. When it comes to safety at sea, you need look no further than Amver. Every 33 hours an Amver ship is saving a life somewhere in the world. From the Arctic to Antarctica, there are Amver ships available to assist in search and rescue. How is Amver a success? Because of the participation from the commercial maritime sector. Help us welcome the latest members to enroll in the Amver safety network, ready to save lives when necessary.